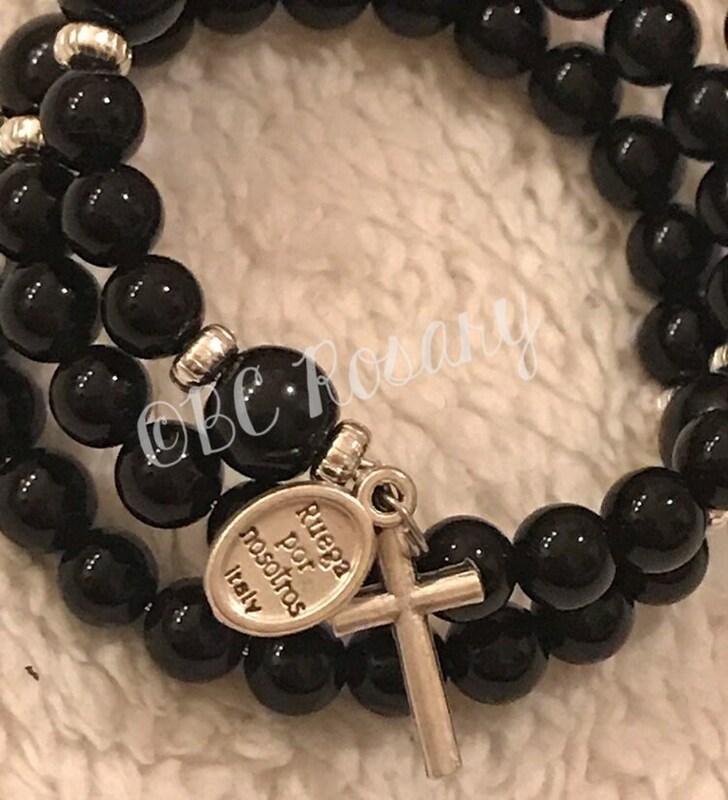 This memory wire rosary bracelet is a complete rosary with all 5 decades and intention beads in beautiful 6mm round black onyx Czech glass beads. 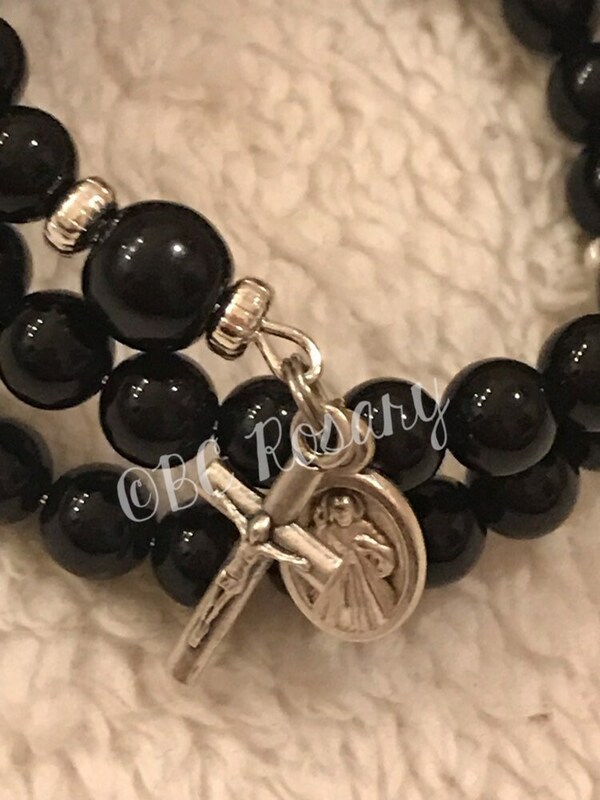 The Our Father beads are 8mm surrounded by silver accents. 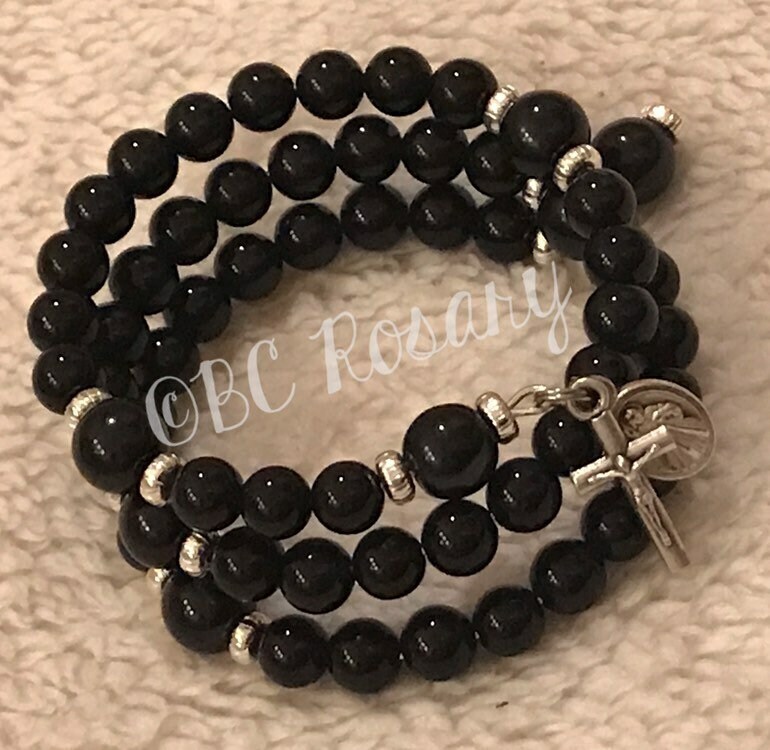 A Divine Mercy medal is paired with a small silver orthodox style crucifix to complete this bracelet! The memory wire stretches to fix most wrist sizes!